The documentation for SonarQube explains how to configure SSL when you're running on Linux and how to use the native Tomcat functionality for a simple test environment, yet they recommend not to use this functionality in any production like setting. 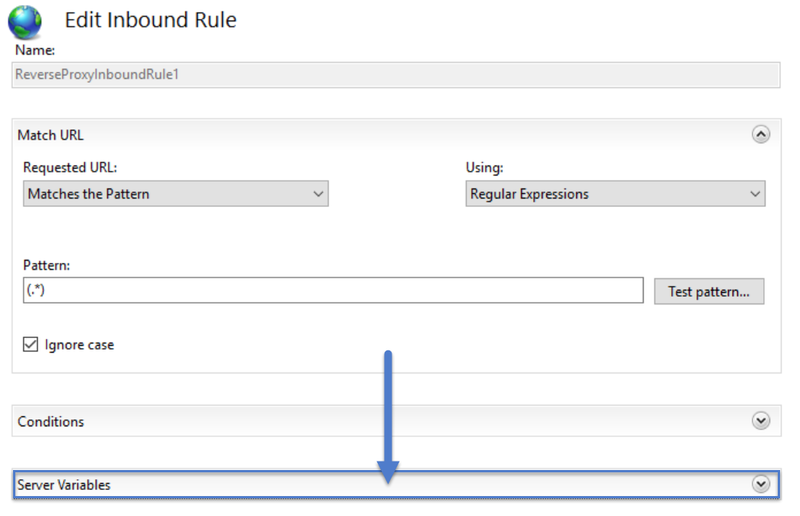 Instead SonarQube recommends the use of a Reverse Proxy to secure you sonar installation. 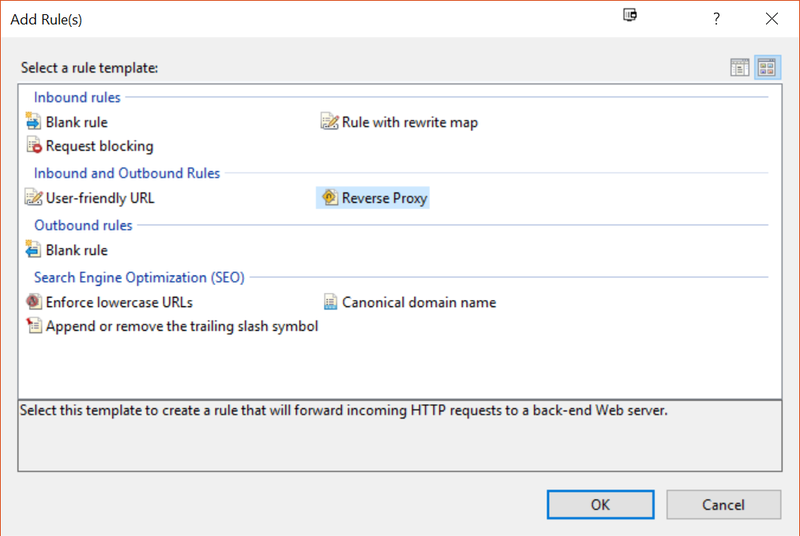 With the help of IIS and the Url Rewrite module, that's a piece of cake to setup. After installing and enabling these features, I had to do an IIS Reset and re-open the IIS Manager for all features to start working. 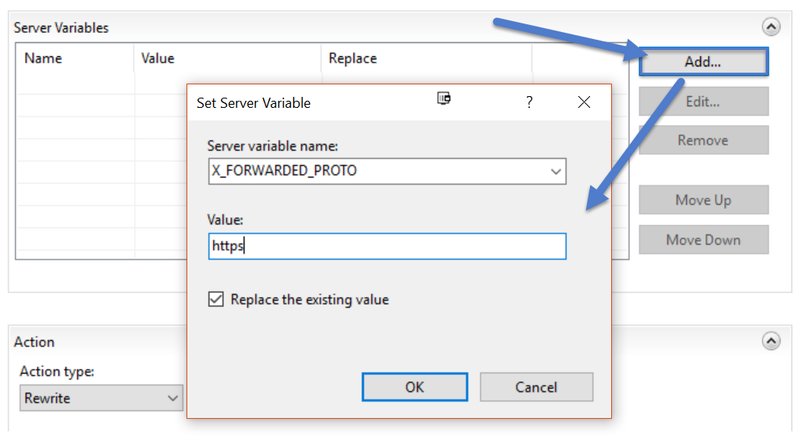 Next we'll go through the steps to configure the reverse proxy. 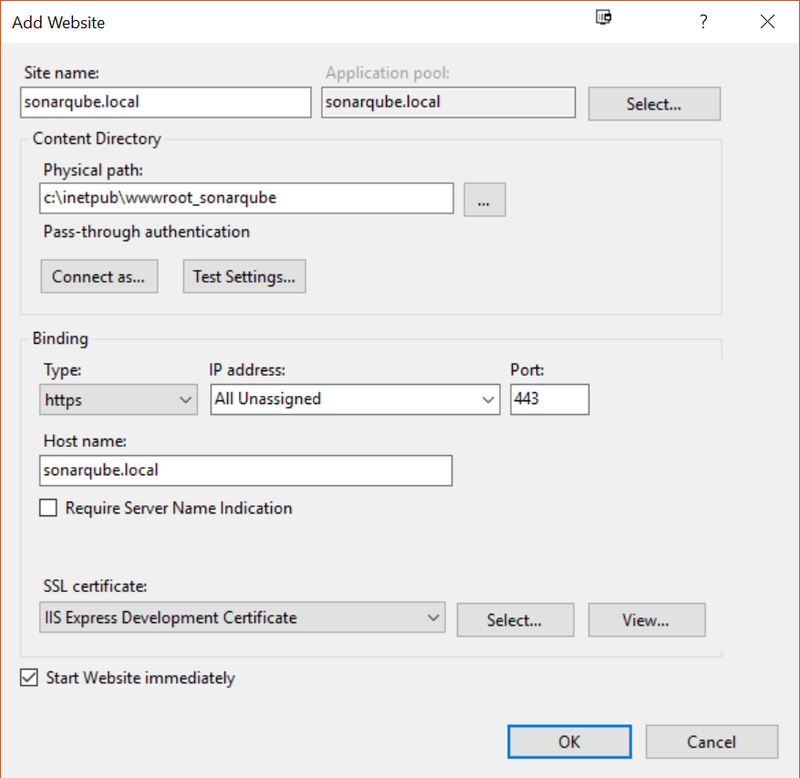 First step is to create a IIS website which will act as the reverse proxy. Unless you're required to do Kerberos authentication, you don't need to configure any form of authentication on your Reverse Proxy. It should forward the challenge from SonarQube if you've configured Active Directory integration there. If you are using Kerberos or IIS Advanced protection, please look here for guidance on configuring that correctly. And now you should be able to access SonarQube over SSL. 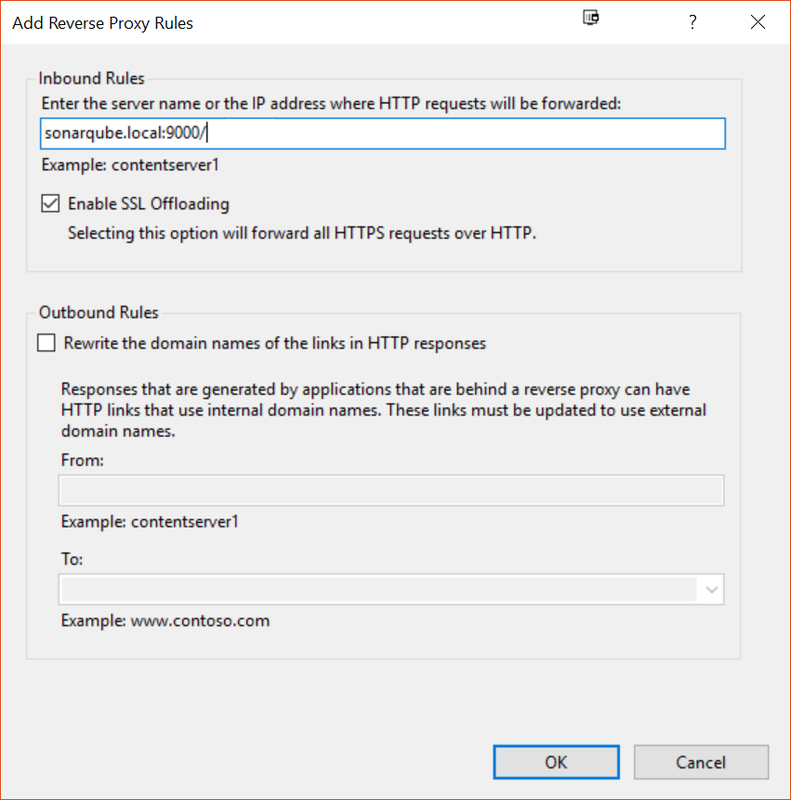 You may want to configure the original SonarQube instance to only accept traffic from your reverse proxy or only accept traffic from localhost through the Windows Firewall. If you have been using Scrum to develop products, you have probably found that the Scrum Guide only describes the core rules of Scrum, regardless of scale. A lot of companies want to use Scrum to work on multiple products or to develop a comprehensive product that requires multiple teams.